This summer I went on a whirlwind adventure: a week of culture in London; a week of relaxation in The Republic of Ireland; and another week visiting family in the Netherlands. I used my Spikko account to stay in contact, of course! Prior to Spikko, an extended vacation was a dream. Taking a week off is hard enough- but nearly a month? Impossible! 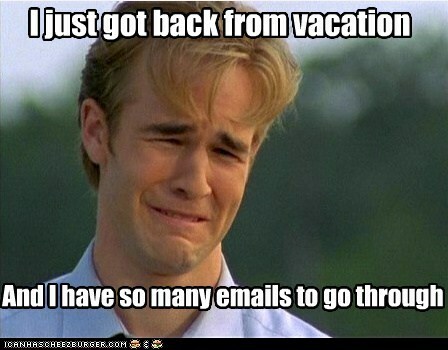 To stay connected to the office while away meant struggling to search for reliable WiFi; taking half-an-hour to respond to an email that could have been settled with a 20 second phone call; waiting forever for a reply; and then paying outrageous roaming charges when email wasn’t enough. Take preventative measures: use Spikko. Enter summer 2014: hopes for double-decker buses; finding the pot of gold at the end of a rainbow; and eating my weight in cheese. The quest for WiFi? Non-existent. Having to Cc the entire office on an email that reads, “No”? Nope. Waiting for my coworkers to wake up? …Okay, maybe. Everything quick, reasonably priced, and the power to change it all with an app on my phone? Sure, I may have a quick call while riding the tube or at a Dublin pub. Compared to the amount of hassle I would have had staying in-touch with our headquarters otherwise, it was a drop in the bucket. The best part of it all was that despite the change of my SIM weekly, I never had to worry about whether or not the Spikko staff would be able to reach me. Also, in using our app, there was no question that my number would follow me flawlessly and with zero effort. It is one thing to sell a product and believe in its use; it’s another thing to experience the importance of the service. So if I speak to you with enthusiasm on Spikko chat or send an email telling you how wonderful our product is, know that I mean it. For three weeks of my life, Spikko went from a luxury to a necessity. The ease, clarity, and reliability of Spikko is a lifesaver if you are away but need to stay connected. You’ve earned your relaxation time- make the most of it! Whether you’re in the office wishing you were someplace else or out of the office (aside from a ring here-or-there), Spikko is here for all of your business calling needs.